William McCarthy is a Professor of Accounting and Information Systems at Michigan State University. Professor McCarthy joined the MSU faculty in January of 1978. Professor McCarthy has been instrumental in establishing and maintaining the accounting information systems track within the masters program at MSU, a track that continues to enjoy a high degree of placement and acceptance from accounting, consulting, and industrial firms around the country. For his teaching efforts there, he has been given student-selected teaching awards from the Masters in Accounting and from the Broad MBA programs. In 2003, he was given the American Accounting Association's "Innovation in Accounting Education Award" for his role in developing semantic modeling approaches to teaching accounting information systems. He has supervised nine doctoral dissertations, including the 1994, 1995, 1996, and 1999 national AIS award winners. He has also served as an invited participant and faculty opponent on doctoral committees in Canada, Finland, Australia, Belgium, and Austria. Professor McCarthy worked in the Artificial Intelligence Group of Arthur Andersen Consulting (now Accenture) where he was part of a research team that analyzed the first uses of embedded semantics for the SEC's EDGAR system. Most recently, he has been especially active in international e-commerce standardization efforts. He was a member of the Business Process Analysis and Specification Schema teams of the UN-based ebXML project, and he was a member of the Business Collaboration Patterns and Business Object Type Library teams of ebTWG. He is also active with the UN CEFACT Technologies and Methods Workgroup and with the Business Process Catalog team. He is an editor for the ISO-based Open-EDI initiative where he was the principal architect of the accounting and economic ontology for Open-EDI (ISO 15944-4). In the area of blockchain, he is the co-editor of a new ISO standard (ISO 15944-15) for Distributed Business Transaction Repositories and Open Value Networks (https://www.youtube.com/watch?v=nux15-RxufY ). Professor McCarthy was recently appointed a founding member of the board of directors for the Accounting Blockchain Coalition https://broad.msu.edu/2018/05/11/technology-blockchain-radically-change-accounting-broad-prof-warn-n... . 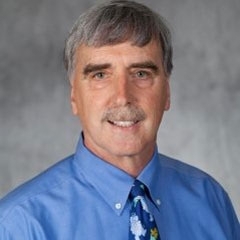 Professor McCarthy has served in many leadership positions at the American Accounting Association, including being Editor for The Accounting Review, being Editor for the Journal of Information Systems, and being Vice-President. He received the "AAA Outstanding Service Award" in 2007 for his efforts in educating accounting professors worldwide to teach accounting systems courses in a more conceptual and integrated fashion. Professor McCarthy was the recipient of the Department of Accounting's "Roland F. Salmonson Outstanding Teaching Award" in 1985, 1993, 2003, and 2011. In September of 1999, he was given the "Withrow Teacher-Scholar Award," the lifetime teaching award from the Broad College of Business, and in February 2000, he was presented with the Michigan State University "Distinguished Faculty Award." In 2008, he was honored with the American Accounting Association's "Outstanding Accounting Educator Award."